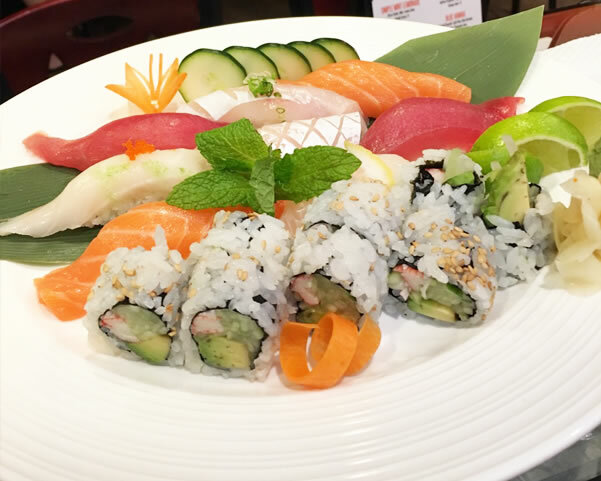 Located at 170 Washington Ave, North Haven, CT 06473, our restaurant offers a wide array of authentic Japanese Food, such as Omakase Dish, Seasonal Fish, Assorted special sushi rolls, Assorted Hibachi food in the kitchen, Tom Yum soup and Pai Thai Noodle. Try our delicious food and service today. Come in for an Japanese Lunch Special or during evenings for a delicious Asian dinner.